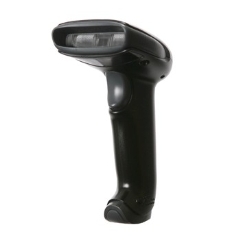 ESD 1900 and 1902 are high performance barcode scanners designed for static safe environments. The scanner housings are coated with a conductive material that eliminates the buildup of dangerous static charge on the scanner. Available in both corded and cordless models, all surfaces of the scanner are electrically conductive to the scanner ground wire. 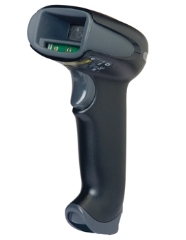 Designed to satisfy the strict requirements of clean rooms, static safe manufacturing environments, and any other situation that requires electro static discharge control, the ESD 1300g is a versatile and exceptional performer as a linear imaging barcode scanner with ESD control. The rugged plastic housing is coated with a conductive material that eliminates the buildup of dangerous static charge on the scanner.